4 × = thirty two Required Please enter the correct value. The pressure's on for both the Speaker of the House and the Senate Majority Leader to get their tribes in line. The outcome of these spending measures affect urgent matters, including how the United States will aid Puerto Rico in its debt crisis, and how the country will respond to the threat of the Zika virus. The congressional legislative process itself is a complex one – so both Senate and House leaders should be quick to reign in lagging proceedings. If a consensus isn't reached on the spending bills by then, they'll likely get jammed into a late-year omnibus bill (a single document that combines several measures into one), or default into a months-long stopgap measure (a short-term fix) until different measures are approved. That means a few key programs will go without funding — including U.S. federal defense programs. Currently, an all-important defense policy bill that authorizes military spending for the fiscal year beginning Oct. 1 is unresolved. Likewise, a House measure shifting $18 billion of war funds to core Pentagon programs is stuck in legislative limbo. As it stands, some of the chambers' spending bills have already been approved by their respective subcommittees. But some are still in early phases of the drafting process. 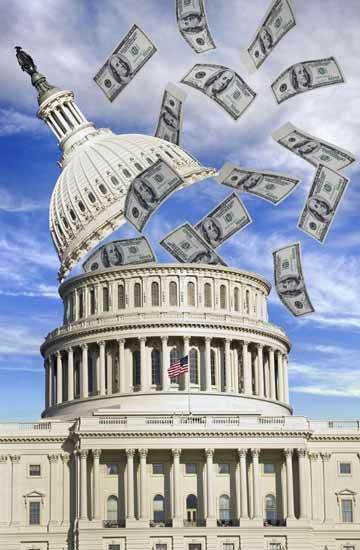 In fact, House and Senate appropriations subcommittees are drafting measures probably as you read this. McConnell wants to run the Senate in a way that would avoid any talk of a shutdown. "Even if that means holding red meat back from conservatives," reported The Hill earlier today. The Kentucky senator, along with Senate Appropriations Committee Chairman Thad Cochran (R-MS), have been vigilant about keeping detrimental amendments (also known as "riders") from getting tacked onto their spending bills this summer. As a result, eight have passed their respective subcommittees unanimously, which means they're headed for the Senate floor. Meanwhile, Ryan has kept good on his promise to the House of Representatives. He said he'd allow "rank-and-file" chamber colleagues to exercise more legislative power. This is what he refers to as a return to "regular order," which is politico speak for "a bottom-up, committee-driven legislative process that gives more power to individual members and less to party leaders," reported The Atlantic on May 26. Last week a domestic energy and water spending bill was defeated in the House over a "rider" that would prevent the U.S. government from hiring contractors that discriminate based on gender identity and sexual orientation. The amendment, which would enforce a 2014 executive order from President Obama, was sponsored by Rep. Sean Maloney (D- NY) and added by the full House on Wednesday night with a vote of 223-195. Forty-three Republicans initially sided with Democrats and opted to add the amendment. But when the spending measure was officially voted on the House floor the next day, it ended up failing, with a vote of 212-213. It was a public debacle. House Democrats screamed "Shame! Shame!" as some Republicans changed their votes and blocked their own bill. The entire ordeal became moot hours later, however, when the underlying $37.4 billion domestic energy and water spending measure in the bill went down in a landslide vote of 305-112, with majorities of both parties voting against it. The meltdown happened so quickly, reported The Atlantic, that it caught the House Appropriations Committee off guard. The committee had already sent out a statement to the media declaring victory of the bill, which it had to rescind. It seems that "regular order" may work better in theory than it does in practice. Follow us Twitter @moneymorning, or like us on Facebook.